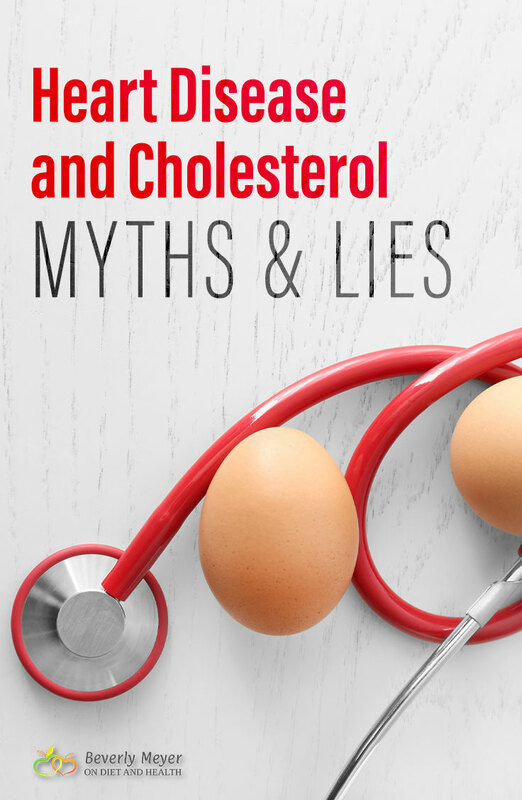 I hear heart disease and cholesterol myths every week in my clinic and on the news. Drug companies continue their propaganda and doctors still prescribe drugs and surgery when not always needed. (Emergencies are another matter). 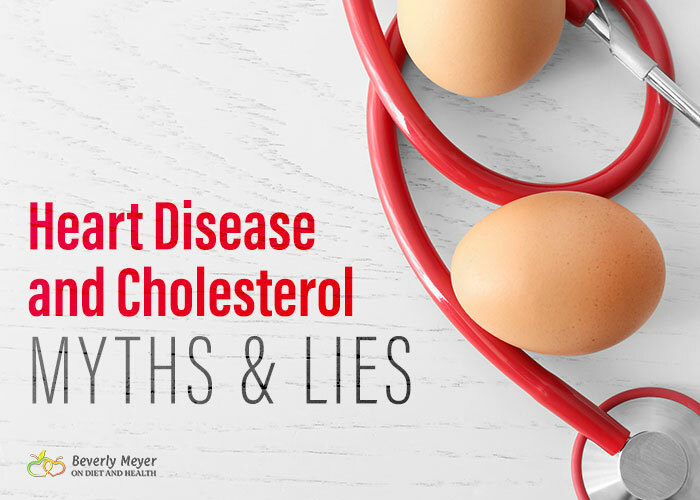 Cholesterol does NOT cause heart disease. Many, many independent studies confirm this. This article explains how even the USDA agreed with this in 2015. Myth #1). Cholesterol causes fatty deposits that clog arteries and impair blood flow, leading to a possible heart attack. Truth: Cholesterol is part of the repair team sent to fix oxidative damage to the arteries. It is oxidation and inflammation (from food, smoking, toxins, drugs, etc.) that damages the arteries. Cholesterol helps heal those irritated patches. Truth: We make huge amounts of cholesterol every day, in addition to what we get from food. We make Testosterone, Estrogen, Progesterone, Cortisol and Vitamin D out of Cholesterol. Post-menopausal women may have “elevated” cholesterol if they are not eating enough saturated fat to make hormones. Myth #3). Saturated fats are dangerous. Truth: We get saturated fats from eating animals – organ meats, animal fat, eggs and dairy. Humans have eaten these fats for a very long time. Many body systems depend on fats, including the cell membrane that surrounds and protects every cell in the body. Cholesterol is an anti-inflammatory against oxidized LDL particles. Myth #4). Vegetable oils are good. Truth: Humans never ate factory processed oils from seeds until the 1950’s. Seed oils such as canola, sunflower and corn are extremely high in inflammatory Omega 6 fats. Better choices include nut and fruit oils such as olive, avocado, macadamia and tea seed oil (see my article on this). I eat a variety of pasture-raised ghee, lard, butter, fatty meats, pastured eggs and coconut oil with my organic olive, tea seed and avocado oils. 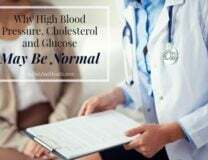 Is High Blood Pressure Due to Cholesterol? Myth #5). Calcium has nothing to do with heart disease. Truth: I have many podcasts and articles on the universal deficiency of Vitamin K2 – the ancestral nutrient that keeps calcium in bones, teeth and muscles and out of arteries and joints. 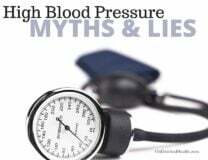 My article and podcast on “High Blood Pressure Myths and Lies” will tell you more. Without K2 (found only in pastured animal meats and fats or supplements) calcium drops out of the blood and lines the arteries. The heart MUST pump harder to get blood through narrowed arteries. You need K2 and you need it daily every day of your life. Here’s a higher potency MK-7 one in my online store, or get it in its natural form with Walkabout Emu Oil. Protect your arteries, joints, kidneys and gall bladder from stones, spurs and atherosclerosis: never take Vitamin D without Vitamin K2. This D3/K2 combo is the top product in my online store and in my clinic – every client is on these, daily for life. The 5 pack is 5% cheaper. Myth #6). If you have cholesterol over 200 or LDL over 100, you may be prescribed toxic drugs for the rest of your life to lower your numbers (but not to fix the cause of the “problem”). If your LDL is 200 – 800 you will be checked for genetic Familial Hypercholesterolemia. Truth: These drugs have terrible side effects, including chronic severe muscle pain, as statins deplete vital Co Q 10 (but your doctor may “forget” to tell you this). Or you may be given Red Yeast Rice which acts about the same as statins. Avoid it. Your cholesterol may be just fine where it is. 240 or less is OK with me but its good to check your LDL small particles. This article from Chris Kresser will explain. Reducing inflammation is the first goal: stop sugars, especially fructose, reduce or eliminate grains, completely stop hydrogenated seed oils (found in all commercial baked goods, take-out, most restaurant foods). Stop smoking. 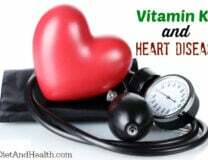 Take Vitamin K2 daily to remove calcium from your arteries. Our BioCeuticals caps are 180 mcg., higher than most products but totally safe. If your cholesterol is over 250, have your Gall Bladder and Thyroid function checked. If you no longer have a Gall Bladder you need Bile support with food forever. Stay away from drugs that enrich others but damage your body. Find a wellness doctor who knows the heart disease and cholesterol myths. Take a variety of good probiotics like this unique one. They help you utilize cholesterol. Don’t worry about cholesterol in food. It’s only 20% of the daily cholesterol our body needs and makes for us.